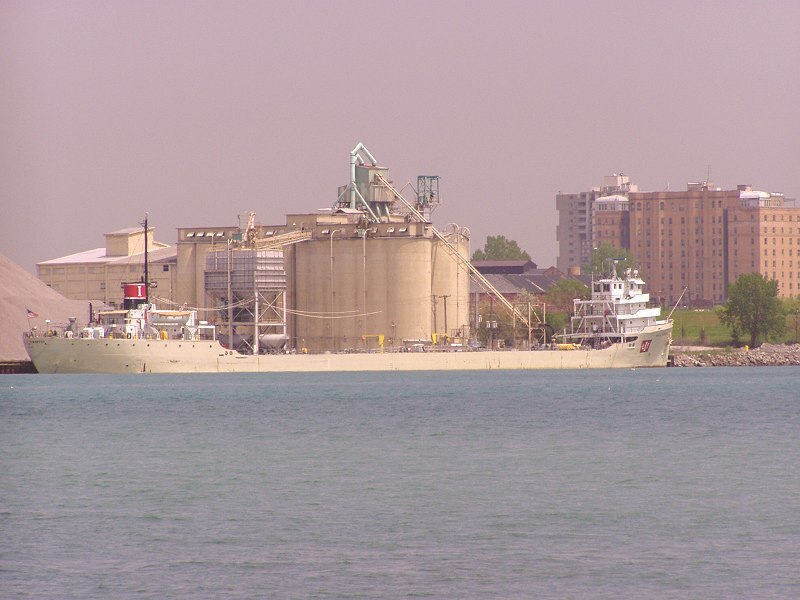 Tadoussac loading grain at Toledo. 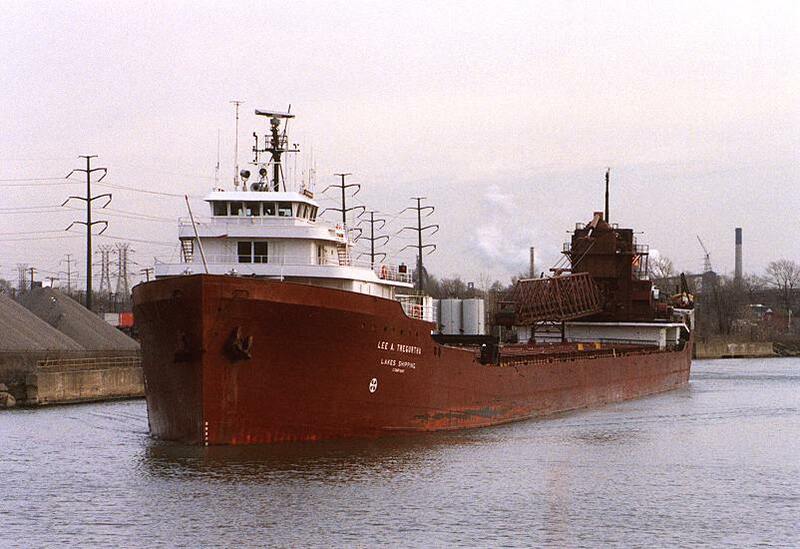 Taylor Myron C. and fleetmates Calcite II, George A. Sloan at 2000 winter lay-up Sarnia. 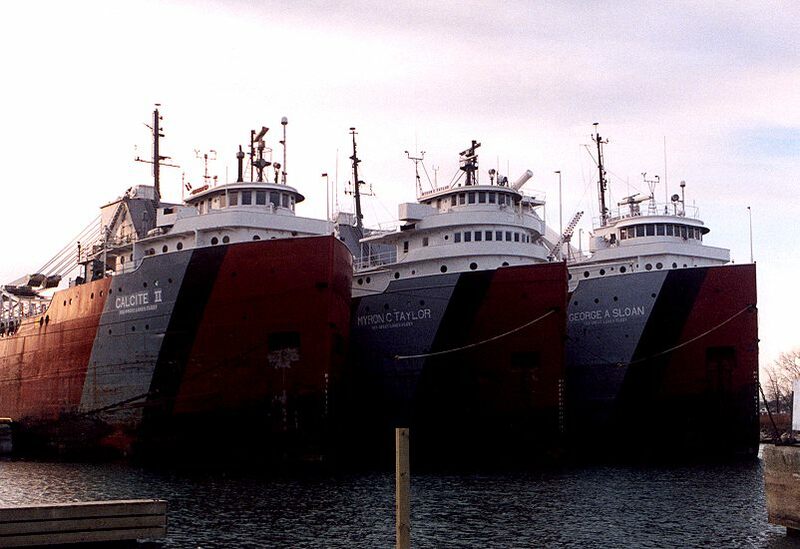 Taylor Myron C. and fleetmates Calcite II, George A. Sloan another view. 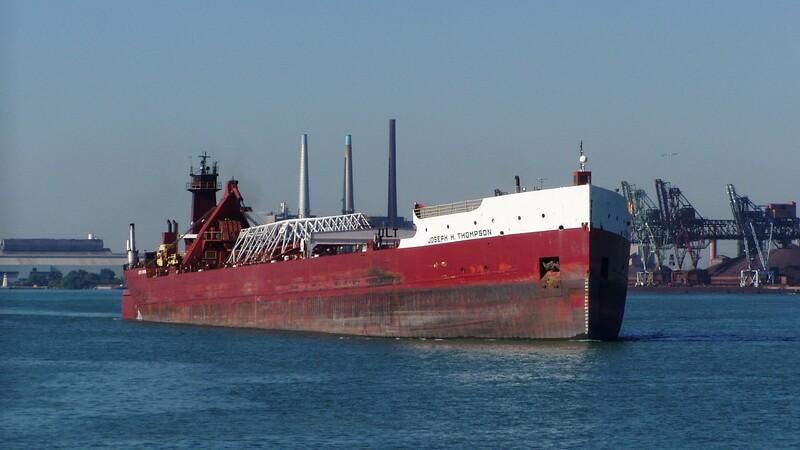 Thompson Joseph H. upbound on the Detroit River at the Ambassador Bridge. 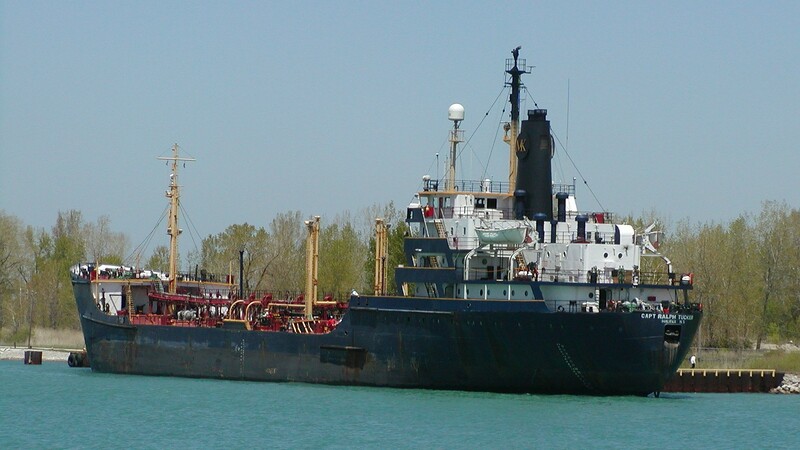 Thompson Joseph H. upbound near the St. Clair flats. 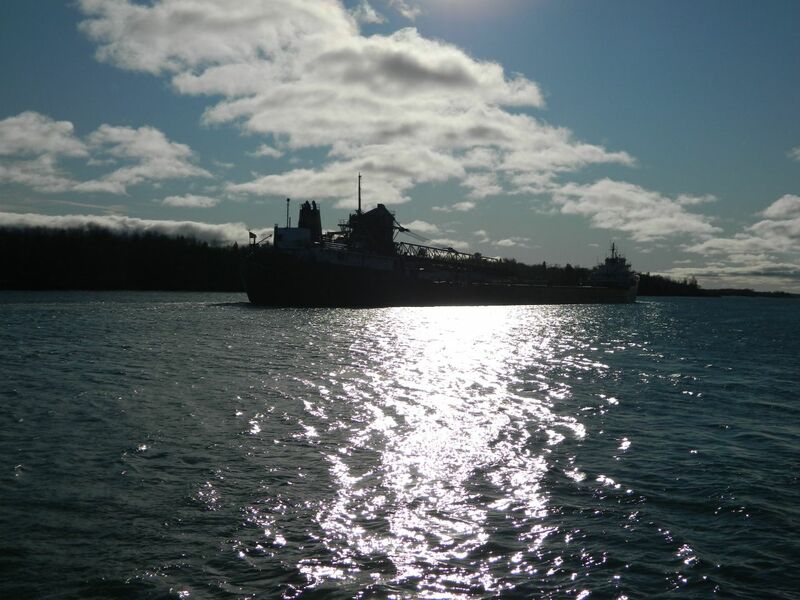 Thompson Joseph H. upbound on lower Lake Huron. 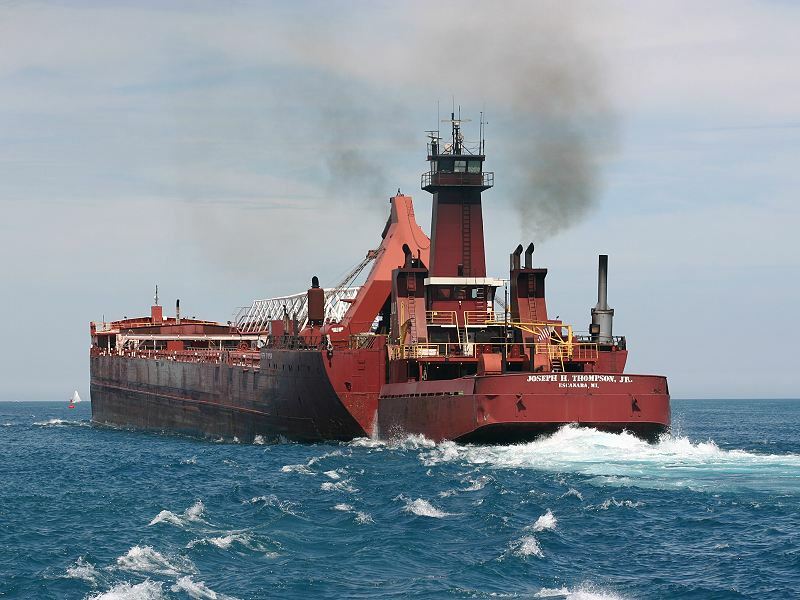 Townsend Paul H. transfering a load of concrete at Detroit. 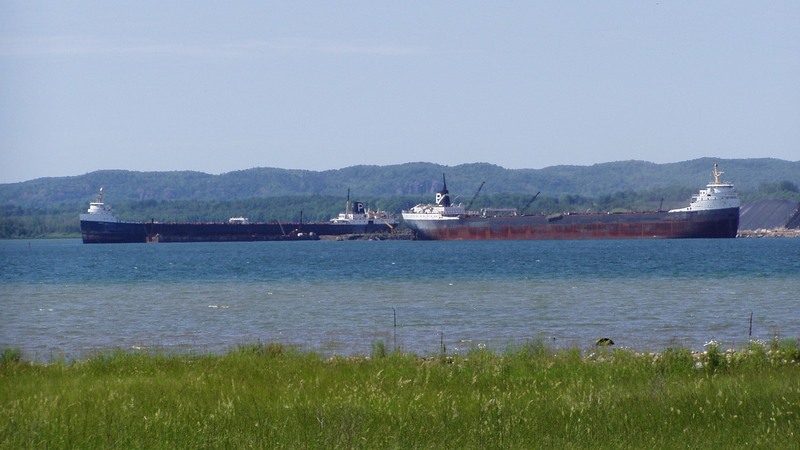 Tregurtha Lee A. upbound in the St. Marys River near Mission Point. 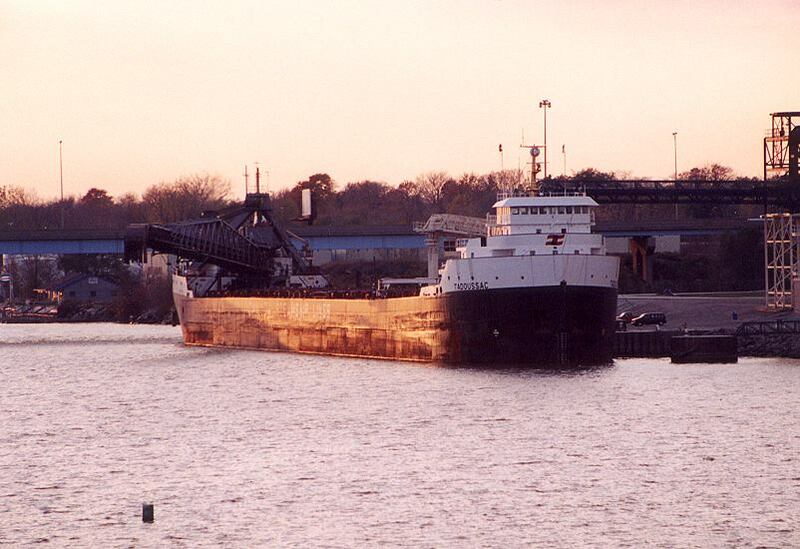 Tregurtha Lee A. inbound on the Rouge River approaching the Dix Road bridge. 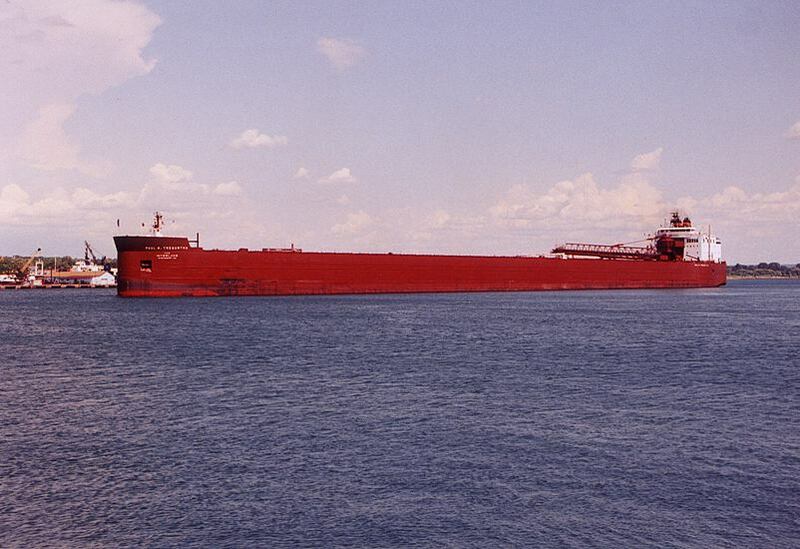 Tregurtha Lee A. Downbound on the St Marys River at Mission Point. 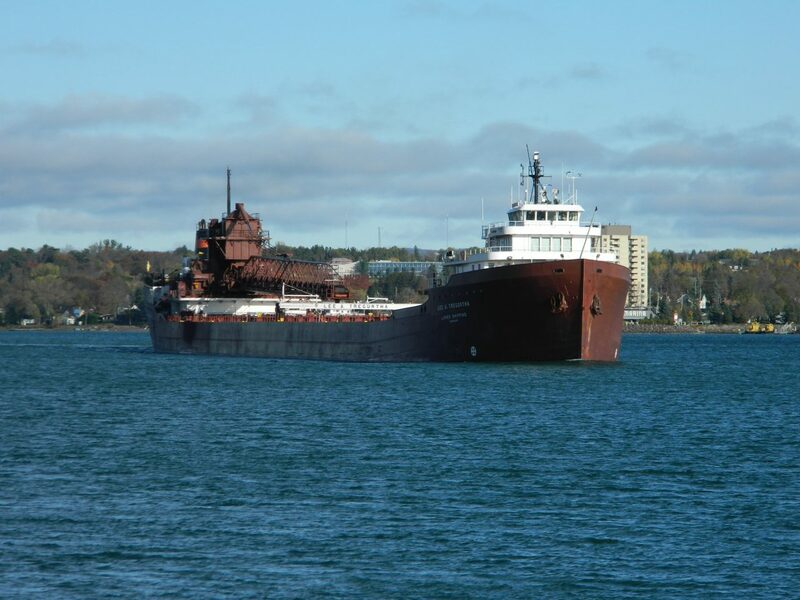 Tregurtha Lee A. Downbound at Mission Point. Another view. 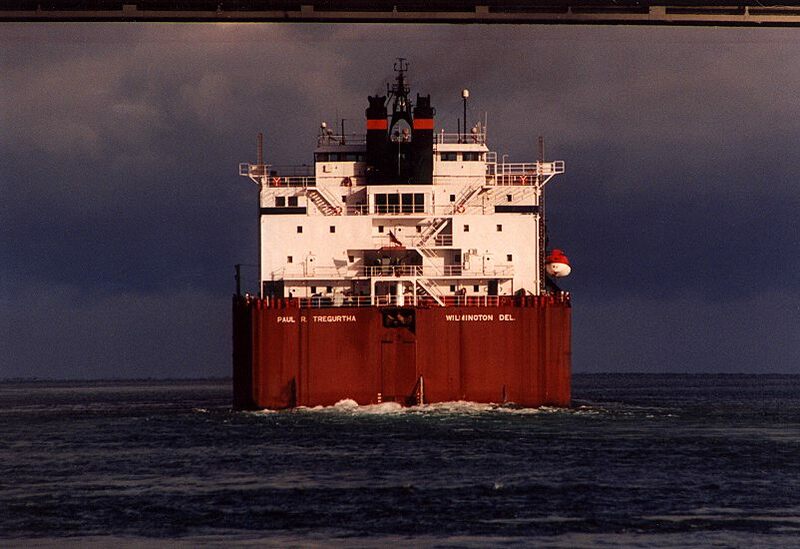 Tregurtha Paul R. outbound on the St. Clair River passing under the Blue Water Bridge. 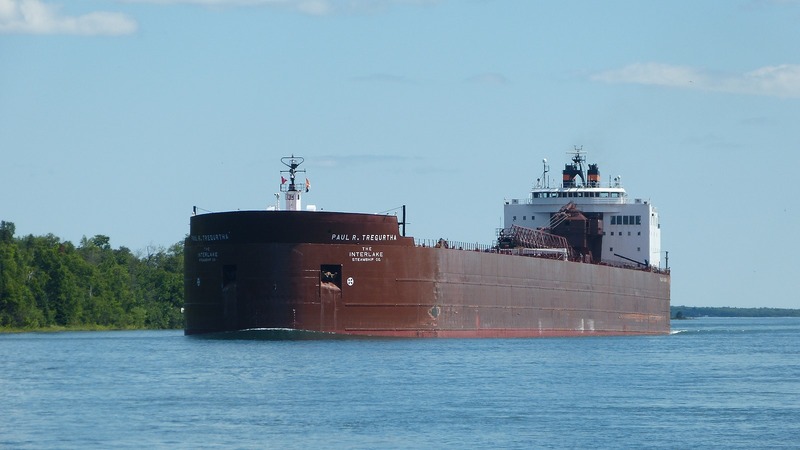 Tregurtha Paul R. upbound below the Soo Locks. 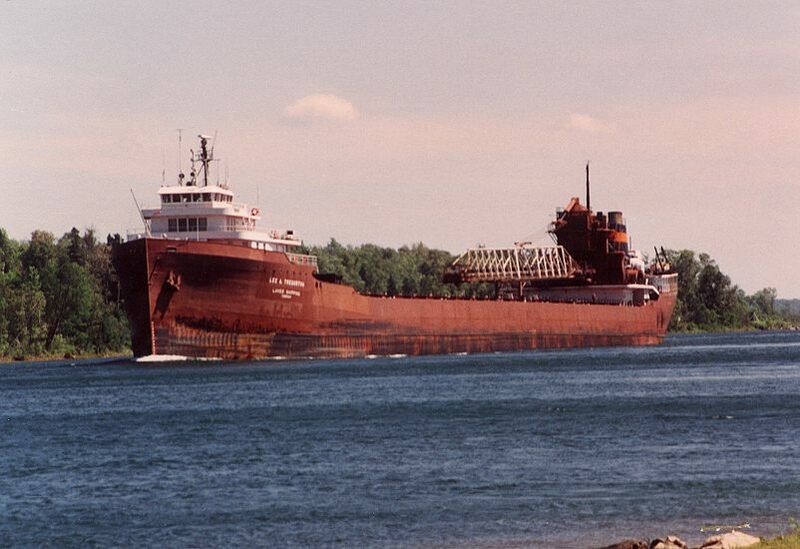 Tregurtha Paul R. upbound at Mission Point. 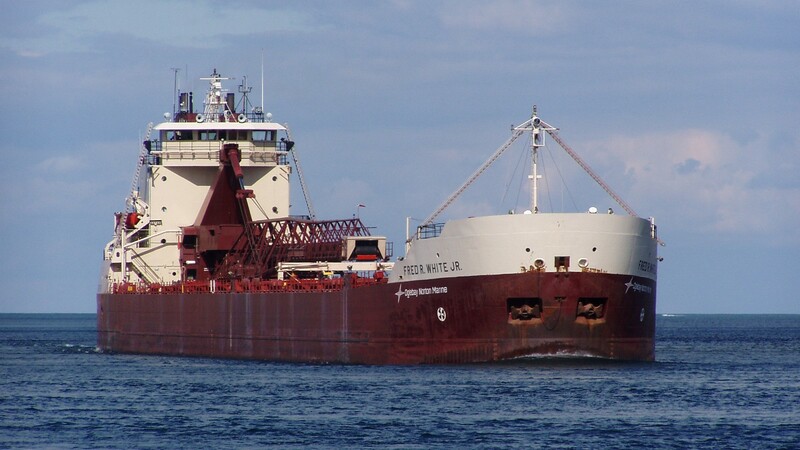 Tucker Captain Ralph at summer lay-up, Sarnia Ontario. 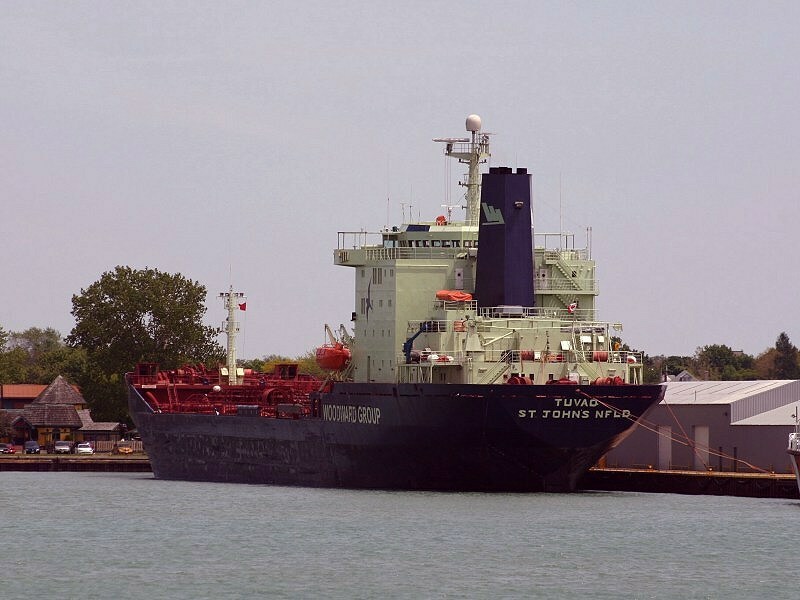 Tuvao at the Government Dock, Sarnia Ontario. 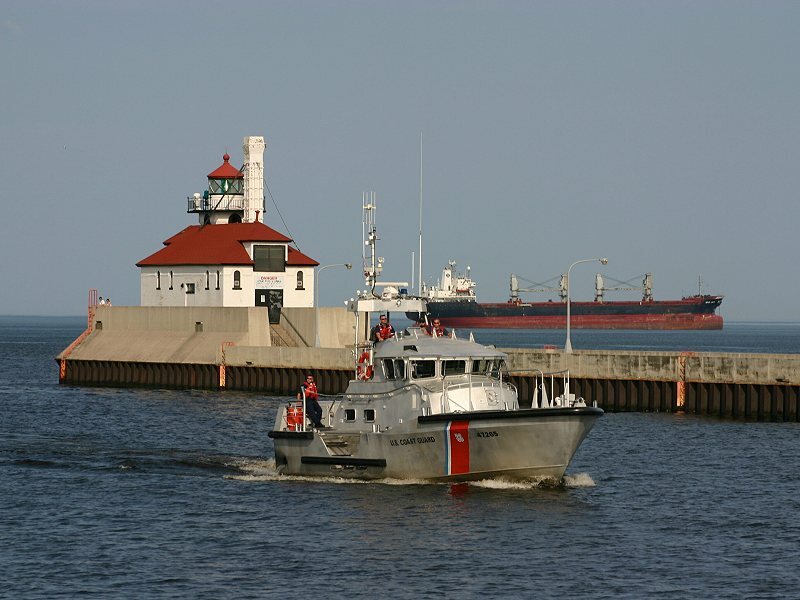 USCG 4726501 passing the South Breakwall lightentering at Duluth Mn. 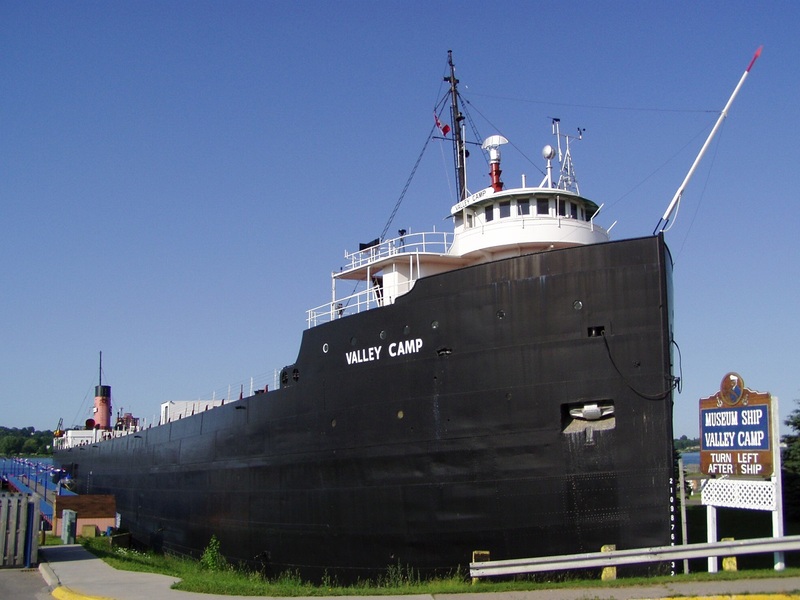 Valley Camp museum ship at Sault Ste. Marie Michigan. 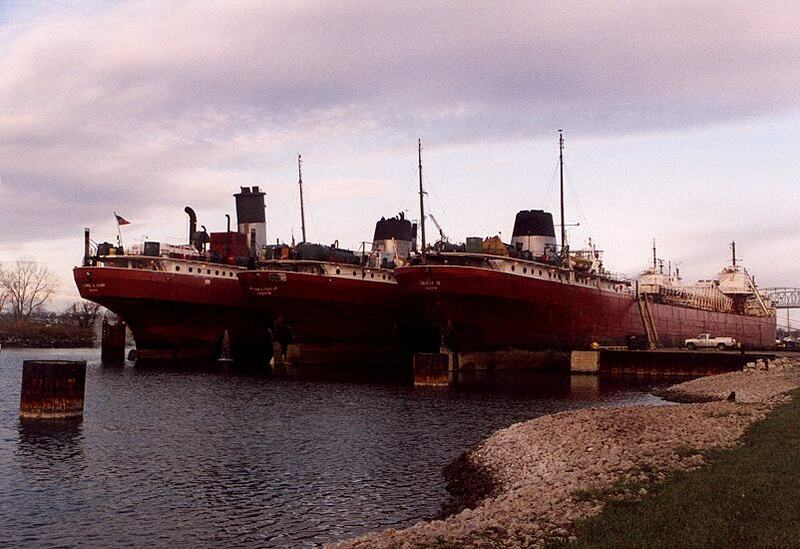 Vandoc (left) with fleetmate Quedoc, waiting to be scrapped. Soo Ont. 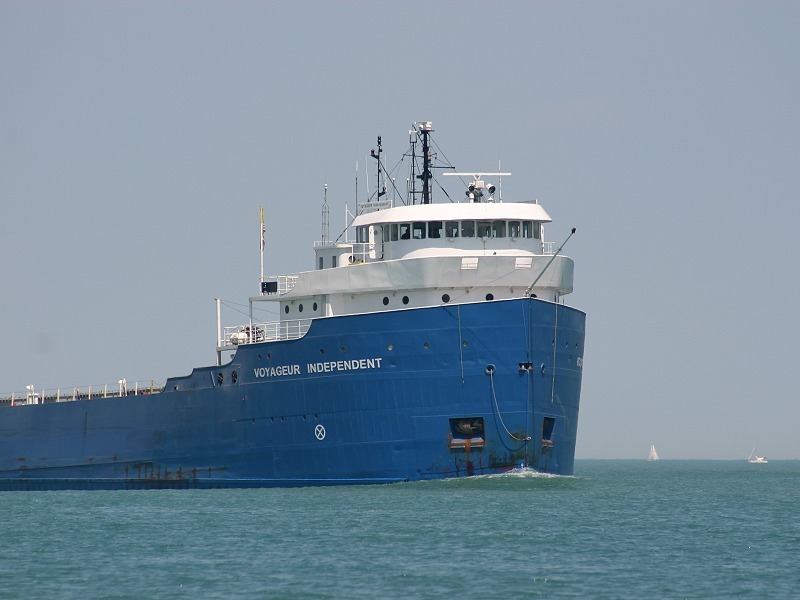 Voyager Independent downbound on the Detroit River flanked by the Speer . 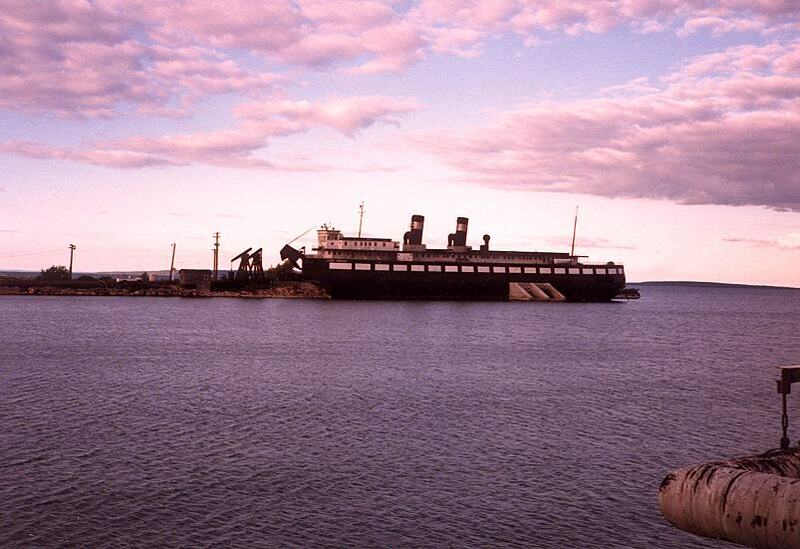 Wawatam (Chief) docked in Mackinaw City before conversion to a barge in 1986. 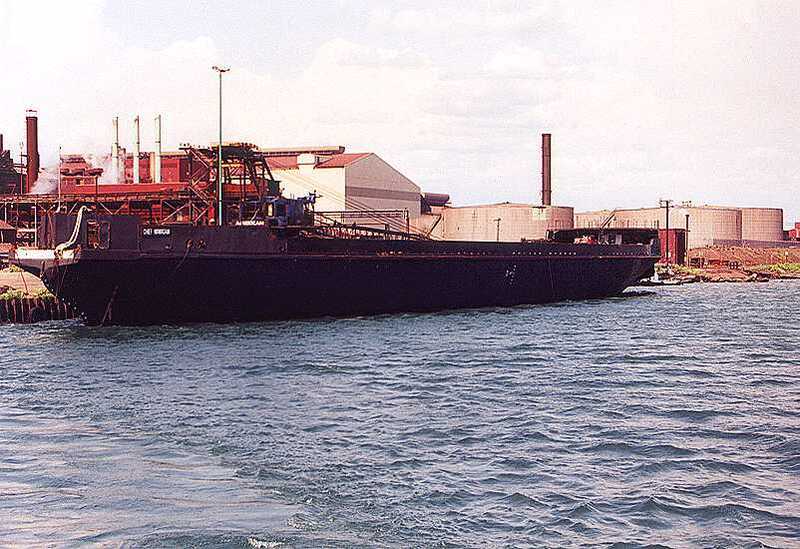 Wawatam (barge) at power plant dock, Sault Ste Marie Ontario. 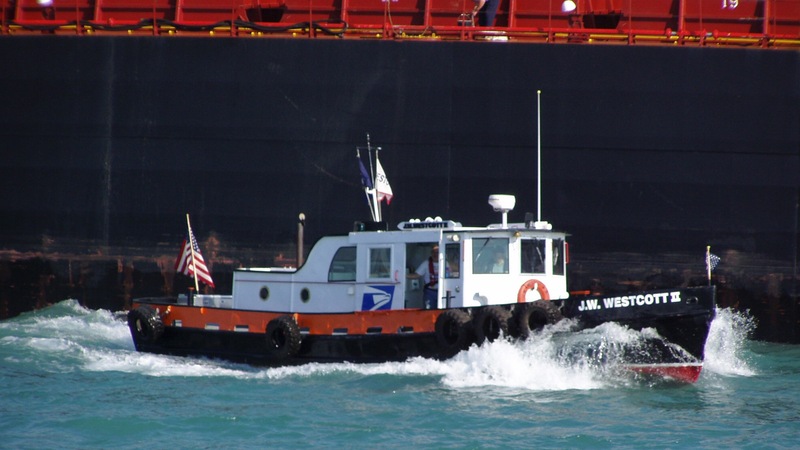 Wescott II J. W. along side of the H. Lee White delivering mail at Detroit. 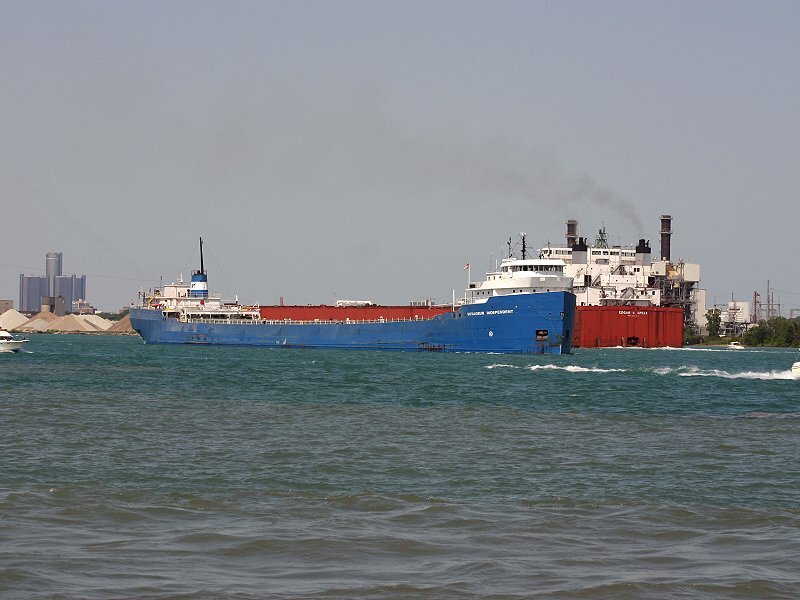 White Fred downbound entering the St. Clair River at Port Huron. 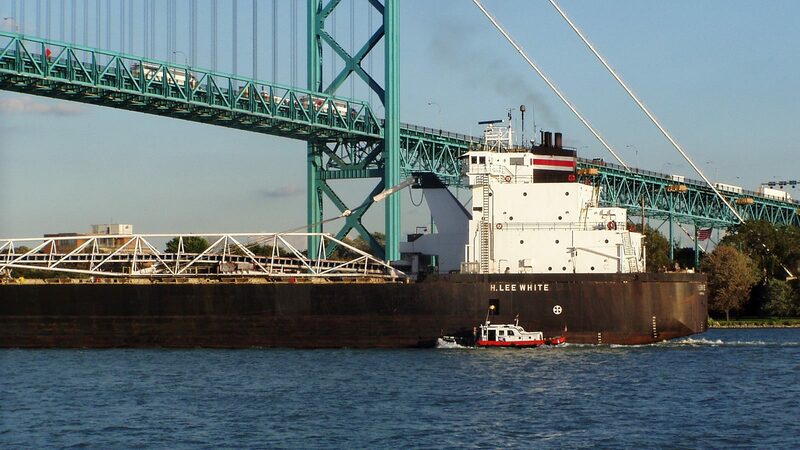 White H. Lee upbound under the Ambassador Bridge receiving supplies. 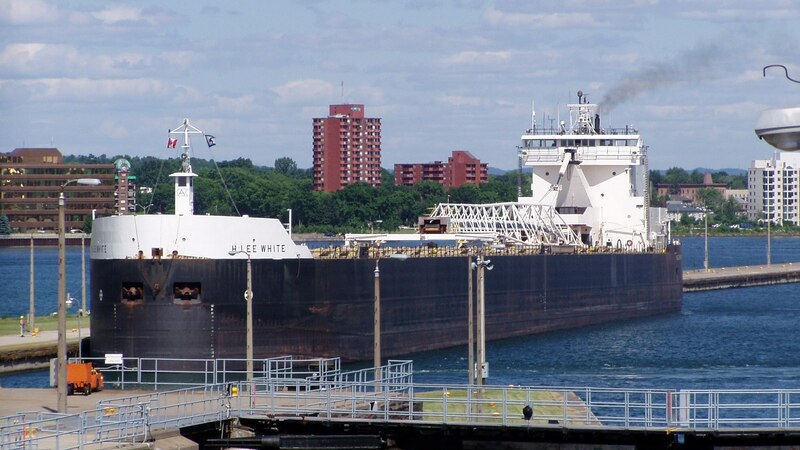 White H. Lee upbound at the Soo, waiting to lock through. 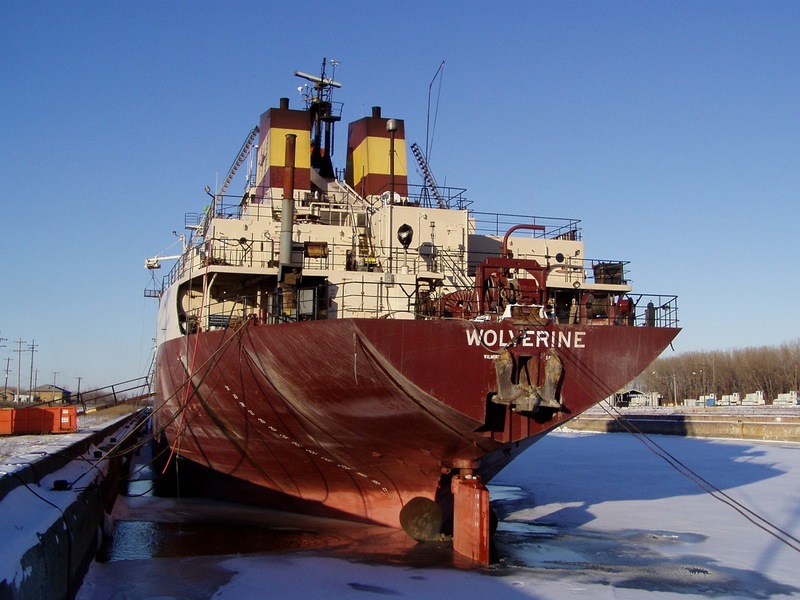 Wolverine 2002-2003 winter lay-up at Toledo Ohio.